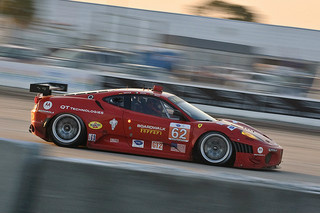 The F430 GTC competition sports car was the concluding expression of development of the 430 Series. It was the natural successor to the Ferrari 360 GTC, which itself was the final evolution of the 360 Series, and was built between 2003 and 2004. Produced during 2006 and 2010 and in collaboration with Michelotto, the Ferrari 430 GTC consisted of the highly successful production F430 Berlinetta whose weight had been reduced to a minimum by removing all unnecessary fitments, such as driver aids and the sumptuous interior. This was further made possible by using a chassis composed of a combination of aluminium, carbon fibre, and kevlar. 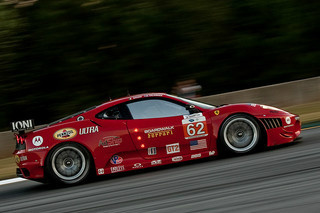 The F430 GTC waas a racer designed to compete in the International GT2 class, including the FIA GT Championship and, of course, Le Mans. In order to comply with FIA regulations, each car was required to meet a minimum weight standard, whilst the engine had to be fitted with air intake restrictors, the size of which depended on capacity. Consequently, in order to compete in the 3.8 to 4 litre class, the capacity of the F430 GTC had to be reduced from 4308 to 3999 cc, coupled with two 28 mm restrictors, whilst its weight was reduced to the required 1100 kg minimum. From the outside, it displayed distinctive gills, made from carbon fibre, positioned both in the front bumper and rear wing. Compared with the 360 GTC, it developed a noticeable increase in torque, together with improved downforce, resulting from its more aerodynamic styling whilst, at the same time, it had a more rigid chassis. In fact, the resulting sports car was now more than a match for its arch rival, the Porsche GT3. 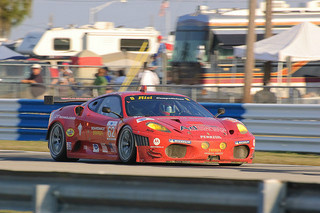 During 2009 and 2010, the F430 GTC notched up class wins at a number of prestigious events, including Sebring and Le Mans. 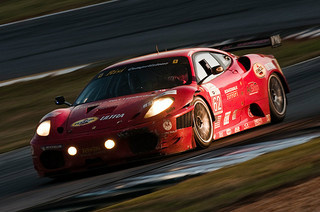 Following endless miles of track testing, the car made its debut at the 2006 Sebring 12 hour event and, in the same year, one of the two cars entered as part of the Scuderia Ecosse team managed to cross the line at Le Mans, which was an achievement that had eluded the 360 GTC. 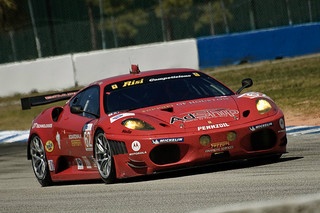 The Ferrari F430 GTC was powered by a 4.0 litre, V8 engine that developed 445 bhp at 6750 rpm (limited by the air restrictors), and 339 ft/lbs of torque at 5200 rpm. Fitted with a six speed sequential gearbox, it produced a top speed of 200+ mph, and a 0-60 mph time of 3.2 secs. This new four valves per cylinder engine featured lightweight aluminium block and heads, a flat plane crankshaft to reduced uneven firing into the exhaust manifold, and shared no components with the 360 GTC's unit. Although the lowered capacity would reduce output, this was more than compensated for by the ensuing reduced weight so that, overall, its power to weight ratio would actually increase. An early example of this evocative sports car was placed at auction and priced at $170,000.